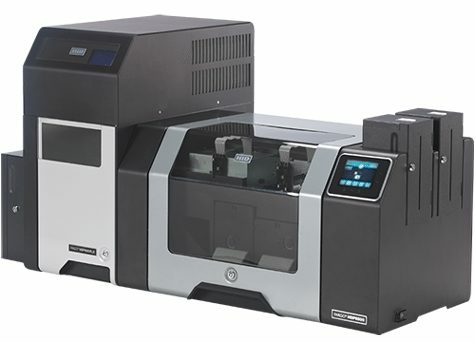 The new FARGO® HDP8500LE Industrial Card Laser Engraver from HID Global integrates seamlessly with the HDP8500 card printer/encoder and card lamination modules, enabling increased credential and organizational security by combining high security laser-engraved personalization with superior High Definition Printing™ (HDP®). Leveraging the most versatile laser engraving technology in card identity systems, HID’s HDP8500LE introduces multiple personalization attributes, making forgery and manipulation virtually impossible. Attempts to alter engraved information will result in visible card damage. Our experienced team of Identity Experts will work with you to review all of your options and provide advice on the best solution to meet your needs and budget. The HDP8500LE uses superior HID Global technology to engrave permanent, unalterable data into cards that demand the highest level of security. When used in conjunction with long-lasting consumables such as UltraCard™ PC cards and High Durable HDP Film, the HDP8500LE will produce cards that meet the requirements of demanding applications such as driver’s licenses and other government issued identification cards.